Wind Turbine Energy is developing at a rapid rate in the clean and renewable energy field in a World plagued by energy crises where increasing carbon footprints and fossil fuel costs make it a desirable alternative.One of the most critical challenges faced in a wind turbine project is the degradation of the performance due to accumulated dust on the turbine rotors which causes changes in the aerodynamic properties of the airfoils resulting in energy losses. Dust is normally prevalent where there is wind and this will expose wind turbine airfoils to the above-mentioned degradation leading to a loss of performance, increased maintenance costs and decreased longevity. Although not all airborne dust can be controlled – a substantial amount of the dust is produced from untreated gravel roads throughout the project. The maintenance of the road network is critical to a wind project initially for the transport of the sensitive turbines but also throughout the life of the project for required maintenance and monitoring. Soil Solutions provides Value Engineered Solutions®, which incorporate the latest technologies and when utilized during the construction and operation of Wind Turbine Farms will address the problems associated with dust generation and accumulation ensuring proper and efficient turbine operation. Dust protection for the turbines by prevention of fugitive and wind blown dust generated by heavy equipment operation. 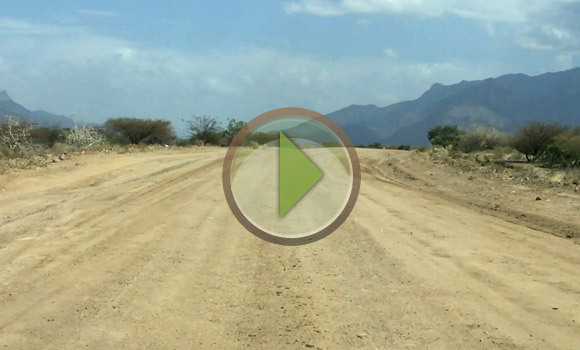 Access and service roads that are free from dust, corrugation, potholes, rutting and erosion. Stabilization and erosion prevention on slopes, embankments or ditches. Capping of all soil or aggregate stockpiles for dust prevention and containment during equipment operation in these areas. Dynamically compacted surfaces with improved bearing capacity for the foundations of the wind turbines. Reduced amount of aggregate required for layer works combined with reinforcement of the base layer for the turbine foundations. Reduced budgets for construction and maintenance. Reduced environmental impact to the surrounding area and community. The product range provided by Soil Solutions for cost effective and efficient construction and operation of a wind power project road network includes: EBS Soil Stabilizer and Road Surface Sealant – Effective soil stabilization and surface sealing of roads for dust mitigation for improved operational efficiency of the turbines and allowance for improved visibility for the operators of all vehicles and heavy equipment and a reduced environmental impact on the surrounding community during construction and operation of the farm. Please contact Soil Solutions for Value Engineered Solutions® for your wind turbine farm today.